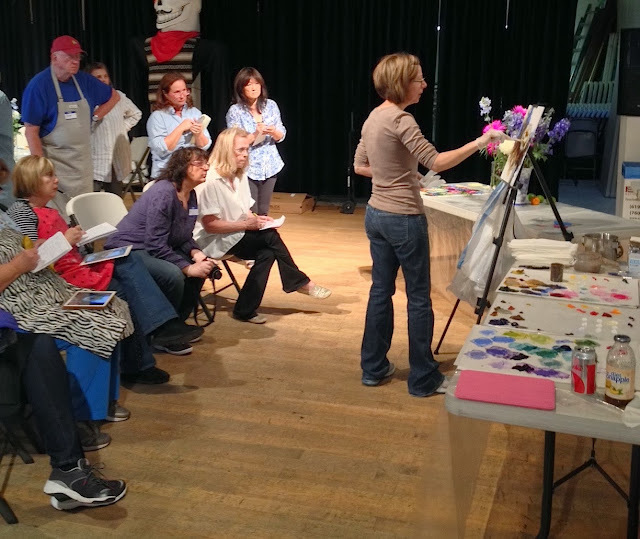 Today was the first day of my first California flower painting workshop, and we started off with a bang! 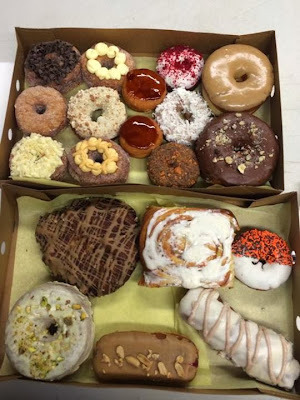 The hubby brought everyone gourmet donuts from the Donut Bar, giving us just enough sugar charge to tackle delphiniums and white zinnias. With 17 students from Canada, New Mexico, Washington, California, and Texas, we had tons of awesome space in our San Diego studio located in the heart of historic Balboa Park. I'm easily distracted by donuts, and totally forgot to get a photo of my demo today, so I'll be sharing that with you tomorrow. Painting delphiniums in San Diego, California! Ooh coconut cake donuts! I love those!! And the red velvet...and the vanilla long john...Yummy! I love the red and green flowers against the white pickets. How beautiful, Nancy!! Sign on door: WILL PAINT for DONUTS! 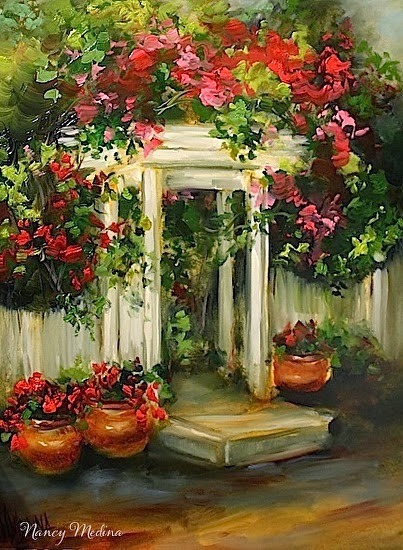 Your Cottage Path Geraniums is seriously gorgeous!